As Consulting Director, Nwamaka brings a solutions-oriented approach and deep commitment to restorative economics framework to her work with her clients. With a background in organizing, electoral campaigns, policy and advocacy on racial, social and environmental justice issues, Nwamaka supports philanthropic institutions in aligning their investments, grantmaking and operations with Just Transition principles. In addition to her consulting work with Justice Funders and as an Restorative Economics consultant, Nwamaka is now an Associate with the Movement Strategy Center after having completed a Senior Fellowship with the organization, and a Fellow at Center for Economic Democracy. She is also a 2017 Fellow for the RSF Integrated Capital Fellowship Program. Nwamaka serves as an Advisor to Chordata Capital and is a Faculty member with EcoDistricts. At EcoDistricts, she previously served as the Director of Programs for Target Cities—a program to support 11 neighborhood-scale sustainable urban regeneration projects across North American committed to equitable economic development. Nwamaka has provided consulting services to projects like Restore Oakland, Richmond Community Development Enterprise, Transform Finance, and foundations including the Jessie Smith Noyes Foundation and the Hyams Foundation. She currently serves as a Board Member to Thousand Currents, Resource Generation and the Schumacher Center for New Economics. She graduated from UC Davis with a Bachelor’s degree in Sociology and African American Studies and holds a Master’s of Public Administration specializing in Financial Management from San Francisco State University. Nwamaka lives in Oakland with her husband, where she can be found geeking out on the latest sci-fi, Afrofuturism novels or cheering for the Golden State Warriors. She likes her bourbon neat and her sake chilled. As Operations & Administrative Coordinator, Jamie supports the dynamic team of organizational and departmental directors in carrying out the mission of reimagining philanthropy’s role in advancing a thriving and just world. Jamie specializes in anthropological research, data analysis, and logistics, and is excited to bring her expertise to the field of philanthropy for the first time. Jamie comes to Justice Funders with 11 years of experience supporting the educational and personal development of Black and Brown youth residing in underserved communities. While pursuing a Bachelor of Arts in English degree at Ursuline College, Jamie served as a mentor for the institution’s civic engagement initiative/ pilot program. By 2014, she became the Program Coordinator whose efforts in curriculum and events yielded 100% high school graduation rate among its participants in 2016. That same year, she launched a campaign entitled “Dance for Flint” that partnered with the YWCA of Warren, Ohio, and local professional artists to raise resources for the Flint, Michigan water crisis. She is currently working on turning this campaign into a movement that not only fosters diverse social justice efforts, but brings the arts to low access communities. When all of the professional hats come off, Jamie can be found in various dance spaces across the Bay Area—immersing herself in Afro Urban, Modern, Hip Hop and Ballet dance festivities. Dana has previously served in executive functions for two other non-profit organizations. She has a Masters of Science degree in Organization Development from the University of San Francisco, Bachelor of Arts degrees in American Studies and Visual Art from the University of California at Santa Cruz, and Non-Profit Management Certification from San Jose State University. Dana attempts to practice patience every day as a parent of two very opinionated kids and a stubborn dog. She occasionally finds time for her yoga practice, and has been known to be rendered speechless by good chocolate. Born and raised in the Bay Area, Dana currently lives in San Jose with her family. As Program Director for the Harmony Initiative, Allen leads and manages Justice Funders’ leadership development program to equip grant-making professionals with the community, skills, and practices to make philanthropy a true force for equity and social justice. Allen comes to Justice Funders as the principal consultant and resource mobilizer with Movement NetLab, a think-make-do tank based in Brooklyn, NY with over 15 years of experience. He is highly talented in working with funders and donors in cultivating decentralized grant-making strategies that resource social movement ecosystems towards an economic democracy. His capacity-building work in philanthropy and government has focused on supporting the development of social programs, service delivery models, community organizing campaigns and cross collaboration system change initiatives. This is conducted through advisement, strategy development, and hosting communities of practice, such as the Old Money New System network retreat that he co-founded out of the Democracy Collaborative’s Next System conference in New York City in 2016. He worked as the Senior Consultant at BCT Partners with Robert Wood Johnson Foundation’s Vulnerable Populations portfolio of grantees, as well as with program officers, where he managed the development of their grant-making strategy focused on health and educational outcomes for children and families. Previously, he was the Program Manager at Strong Healthy Communities Initiative at the Community Foundation of New Jersey as part of Living Cities Integration Initiative, supporting the health and educational grant-making strategy to improve outcomes for children in Newark Public Schools. 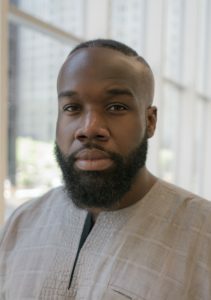 Allen currently serves as the program director of a justice-based philanthropic initiative exploring equity in how funding is used to create economic opportunities towards Black liberation work, called The Weavers Fellowship. He is also CEO and Founder of an emerging public relations cooperative that uses creative publishing to promote Black art across the diaspora, called Zeal Press. Throughout all of his experiences, Allen is a cultural alchemist, using poetry, music, rituals, and storytelling to create joy and liberation. As Justice Funders’ Senior Innovation Director, Mario partners with philanthropy and field practitioners to design, pilot and scale both innovation and coordinated action that advances social movements. Mario comes to the organization via Stanford University’s Hasso Plattner Institute of Design (d.school), where he served as a 2016-2017 Civic Innovation Fellow. He currently holds the position of Entrepreneur-in-Residence at Guidestar, and is the founder of the technology platform, Giving Side. In 2010, Mario co-founded the New American Leaders Project, the country’s first and only organization dedicated to training first- and second- generation immigrants to run for elected office. He has held leadership positions at the Kapor Center for Social Impact, as well as the Funders’ Committee for Civic Participation, providing leadership around new and unprecedented philanthropic investments in both integrated voter engagement strategies and for a fair and accurate 2010 census count. He built significant community organzing experience as the National Coordinator of Racial Justice 911 and at CAAAV Organizing Asian Communities in the Northwest Bronx. Mario is a long-time philanthropic and nonprofit consultant, speaker and trainer. 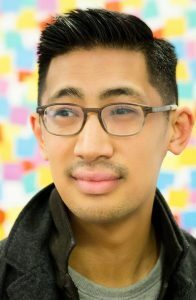 He currently is an advisor to the High Net Worth POC Donor Collaborative, Digital Impact and New Media Mentors, and previously served as board member of Resource Generation, American Prospect, and as board chair of the Asian Pacific Environmental Network. He is a graduate of Columbia University. As Consulting Director, Kimi guides and supports philanthropic institutions in aligning practices with social justice values. As an experienced trainer, facilitator and mediator who has been helping individuals and organizations initiate positive change, Kimi has worked in the fields of higher education and philanthropy for over 15 years with an emphasis on diversity, equity and inclusion; communication; and leadership and team development. 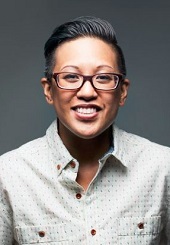 Prior to joining Justice Funders, Kimi served as the Director of Programs at the International House at UC Berkeley. Prior to that, she was the National Membership Services Manager at Asian Americans Pacific Islanders in Philanthropy (AAPIP). 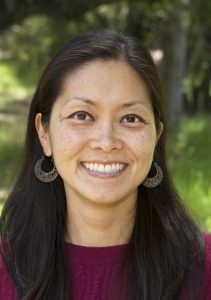 Kimi is a curriculum developer and facilitator for Awaken, and an affiliate trainer and mediator for SEEDS Community Mediation Center in Berkeley, CA. Kimi holds a Master’s degree in Conflict Dispute Resolution from the University of Oregon School of Law. As a dedicated practitioner of Vipassana meditation since 2003, her pedagogy is firmly grounded in Buddhist principles of compassion, mindfulness and liberation. Kimi’s work in the field of peace studies extends to incorporating restorative justice/circle practices with dharma practitioners at the East Bay Meditation Center, in addition to teaching self-defense as a radical embodiment practice at Hand to Hand Kajukenbo and Self Defense Center, both in Oakland, CA. Kimi has been invited to speak, train and facilitate nationally at Wisdom 2.0, the National Conference on Race and Ethnicity and the National Women’s Martial Arts Federation, among others. As senior Engagement Director, Maria leads resource development, communications that promote justice funder values & philanthropic transformation, and programming for the Bay Area Justice Funders Network — Justice Funders’ regional network for learning and action. She brings 17 years of experience in expansive roles as movement builder, organizer, trainer, fundraiser, communicator, capacity builder, community educator, researcher and direct service provider. Prior to Justice Funders, Maria served as Development Director for Forward Together where she led a team that tripled the organization’s institutional and individual fundraising revenue, significantly grew its grassroots donor base, established the organization’s first major donor program, institutionalized the participation of the Board of Directors in individual fundraising efforts, and shifted the culture and practice of fundraising from isolation to integration into the overall organization and its programs. Maria is an active member of Eastlake United for Justice and the Hella Heart Oakland Giving Circle. She serves on the Advisory Board of BoomShake Music, a multicultural community program that uses music and drumming for creative expression, cultural survival and social change by supporting grassroots movements and building the leadership of people of color to be cultural creators for our liberation. In addition to supporting their organizational development, fundraising and communications, she is a member of the BoomShake drum corps for women, trans & gender non-conforming people of color. Maria is a 2006 New Voices Fellow and holds a Master’s degree in Public Health from the University of California, Berkeley with an emphasis in maternal and child health. She loves reading food blogs but can’t find time to cook most of the recipes she wants to try. Instead, in her free time you’ll find her drumming at protests and hanging out at the playground with her two spunky girls. As Program Director for Maestra – Justice Funders’ leadership development program for philanthropic executives – Jennifer’s role is to facilitate philanthropic organizations in adopting and accelerating their practice of the Just Transition. 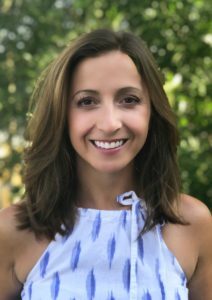 Jennifer joins the team with a diverse background in philanthropy and grant-making, donor and community organizing, strategic planning and facilitation, program and event management, and resource development. 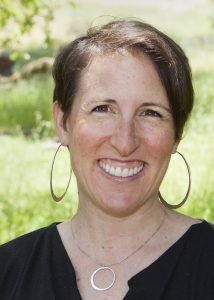 Her areas of expertise include developing strategies to shift power in the field of philanthropy; working with nonprofit partners to increase their organizational capacity; and working in the Just Transition framework to shift from the extractive, fossil-fuel-based economy to the local, living, and cooperative regenerative economy. Jennifer previously served as the Program Director for The Libra Foundation, where she managed the Foundation’s social justice grantmaking and worked to align the organization’s investment strategy with its human rights mission and the Just Transition Framework. She also recently served as the Coordinator for the Building Equity and Alignment Initiative, where she supported the grassroots-led leadership body in their work to shift the culture and practice in philanthropy and drive more resources to frontline groups in the environmental justice movement. As a philanthropic and organizational consultant, she has worked with a range of social justice nonprofits, networks and foundations, including Transform Finance, the New England Grassroots Environment Fund, and the Old Money New System network. 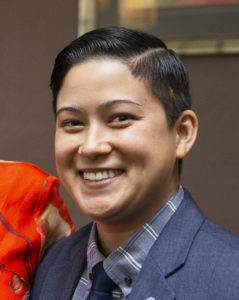 Jennifer is currently the Coordinator of the Shake the Foundations project, which is an emergent collaborative project of philanthropic and economic justice organizations working to effectively invest in a Just Transition and build regenerative economies in ways that increase economic and political power for frontline workers and communities. Jennifer serves on the Board of the Endowment for Health in New Hampshire, a statewide, private foundation dedicated to advancing racial equity and improving the health of vulnerable and underserved residents, and she hosts workshops on racial equity and collective liberation where she lives in southeast NH. Jennifer holds a B.A. in International Development from Tulane University and a M.A. in A Human Rights-Based Approach to Development from the University of Sydney. She enjoys growing vegetables in her backyard and improving her salsa dancing. On the weekends, you will likely find her hiking in the White Mountains with her dog or taking a dip in one of the many local swimming holes. 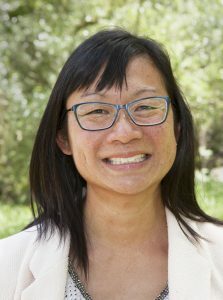 As Innovation Director, Jocelyn Wong leads the organization’s grantmaking interventions to re-orient philanthropic resources to be aligned with local movement priorities and supports regional power-building efforts. Jocelyn is also supporting Justice Funders’ efforts to launch and grow a national campaign, the Movement Commons Campaign. Jocelyn brings 12 years of experience as a successful resource organizer. Informed by prior experience in community organizing and direct service, Jocelyn’s approach to resource mobilization is that it is but one of the many forms of collaboration necessary to strengthen organizations and the broader social justice movements of which we are a part. 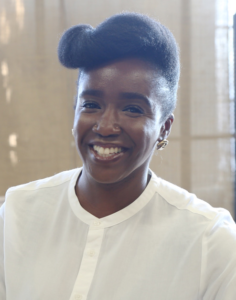 Prior to joining the team, Jocelyn led a $17M campaign to support the success of Restore Oakland, a community advocacy and training center in Oakland’s Fruitvale neighborhood. Leading up the launch of the campaign, Jocelyn served as the Director of Development at the Ella Baker Center for Human Rights, one of Restore Oakland’s co-founding organizations. Prior, Jocelyn was the Director of Foundation Support at the ACLU of Northern California. Jocelyn’s past experience also includes developing partnerships and securing resources for organizations serving youth, families, and LGBTQ+ communities. She found her calling as an organizer through the student movements she was a part of while studying Political Science and LGBTQ Studies at the University of California, Riverside. In her spare time, Jocelyn enjoys backyard projects, discovering new music, and cheering on Bay Area sports teams.